Paris. Oh, Paris. I am not the first person to fall in love with this city, nor will I be the last. It has inspired the world’s best poets and writers, given birth to some of the greatest art the world has ever seen, and it is home to some of my favorite things in the world— namely croissants, red wine, french fries… seriously, I have an obsession with french fries. It is the perfect blend of modern and history, with just the right amount of class and sophistication. What is there NOT to love about the city of light? I could go on and on about what I love about the city, but what I hope to do is help you figure out how to make your trip there amazing. So after my recent visit, I came up with my five best tips I could share with you. 1. Focus on the things you enjoy most. If you are in Paris and have even the slightest hint of art appreciation in your bones, you will want to make time for some museum visits. But if you are like me, you’ll just want to take photos outside the museum— and that’s ok! During one of my first trips to Paris, I stood in line to go inside the Louvre for about 2 hours, and once inside I spent about 20 min locating the Mona Lisa, took my photo of it like the dare devil I am (no photos allowed) of what basically looked like an old 8X10 portrait of some weird lady, and claimed I was ready to leave whenever my friends were.That pretty much sums up my art appreciation. I am giving you permission to just spend time doing the things that bring you joy. I had a lot of amazing meals in Paris. And that is an easy thing to do because there are too many great restaurants to even begin to try and wrap your mind around. But the worst dining experience I had was at a well known “hot-spot” I made reservations for and really was looking forward to. It was such a total let-down and reminded me that oftentimes, the best meals are the unplanned, low-key ones. All of our meals where we just wandered in, ordered what was recommended or the “plat du jour” were fabulous. Another amazing thing I love to do in Paris is to have a meal “picnic style”. It’s so easy to grab a baguette, some cured meats, your fave cheese, and find yourself an idyllic spot in one of the beautiful gardens and parks around Paris. Another fave picnic spot is in Montmartre. Head to the Sacre Coeur, and simply come up to the lawn in front of the church to appreciate the view (sunset, maybe?? ), have a picnic, and drink wine. Sometimes you have to be a tourist, even when you consider yourself “not a tourist”. None of us are too well-travelled to not go stare at the eiffel tower twinkling in all it’s splendor. But what I want new visitors to understand, is that the eiffel tower is so much better to look at, than to look from. Sure, go up the tower if you’ve never done it, but otherwise I suggest finding new places around the city that give you beautiful views of it, like Pont Alexadre III or Pont Alma—two of my favorite bridges to walk across at night and admire it from. Many people wonder if they should visit Versailles during their trip to Paris. I have been to Paris multiple times, and this was the first time I made my way out there. So, this is my two cents-- it is definitely a worthwhile day trip!! GO, if you've been to a Paris before, or if you're staying longer than four days. Paris is a city with so much to experience-- but this place?!! It's a whole other level of things to see and take in. There are many different ways you can experience this place— both on your own or with different types of tours that give you more insight and a deeper experience. I chose to go through a company that offered it as a bike trip, so we got to ride bikes through the grounds as we learned about Marie Antoinette and her life, have a picnic on the grass, and visit the chateau at our leisure. It was an amazing day. 5. Have a Parisian Photoshoot! Last fall I blogged about my photoshoot in Paris, and I’m just so thrilled with the idea of having extra special photos from my trip to keep as memories. I wanted better photos to document my experience than I could get with selfies or passing off my smartphone to another tourist who might cut off my head! This is a service I’m now going to be offering to clients who want to capture their own special memories as well when they travel, and Flytographer is now available in 190 destinations, including Paris! 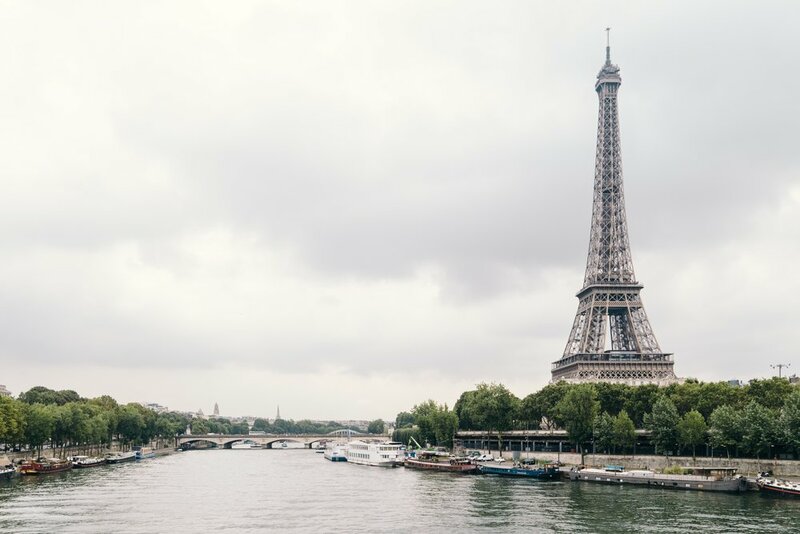 I am encouraging you to consider it for your next trip to Paris or elsewhere, and ask me about my experience if you want to know more about it. Feel free to check out more of my photos HERE. If you were looking for a little inspiration and a touch of wanderlust, I hope this helped! As always, working together to create a customized itinerary specifically for you ensures you have the trip of your dreams. Contact me to discuss your plans.